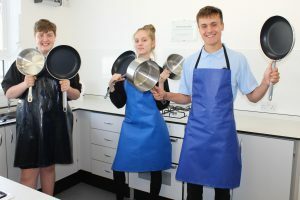 The Food Technology Department has been able to purchase some new saucepans and frying pans to help update the equipment in the newly refurbished cookery room. Food technology is one of our most popular option subjects and it is vital that the equipment we use is kept up to date and of a good quality to help support the high standard of learning that happens in this department. The Library was also fortunate to receive a grant enabling the purchasing of books for our reluctant and lower ability readers in school. 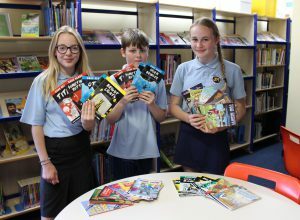 These books are very popular additions in the library and help encourage students to read and develop their literacy through our Accelerated Reader Programme. Both departments would like to send their thanks and gratitude to the Rotary Club for their support through the Community Chest Grant Awards.